What is a Box Chain Necklace? If you haven’t heard of the style of Chain Link known as a Box Chain, now is a good as time as any to get acquainted with one of the most evolving chain styles in modern times. As one of the most recognised Chain Link styles, alongside the Curb, Belcher, Rope and Figaro the Box Chain is a truly timeless classic. Just like the vast majority of enduring Chain Link styles it’s name originates from its appearance. At the heart of this classic style of link is a simple shape resembling a Box. You may think that it is far too basic a shape to have any charisma. But this 4 sided square shape with flat shiny surfaces when paired closely with another identical link, begins to forms the basis of an attractive and sleek chain link style. Whether you choose to admire it from the side, the top or the bottom you’ll find perfect symmetry all around. 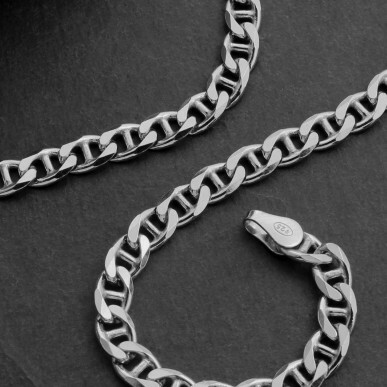 Available to wear as either Silver Chains or Silver Bracelets the Box Chain is also known as a ‘Venetian’ Chain Link style owing to it’s origins from the historically artisan city Venice, Italy. 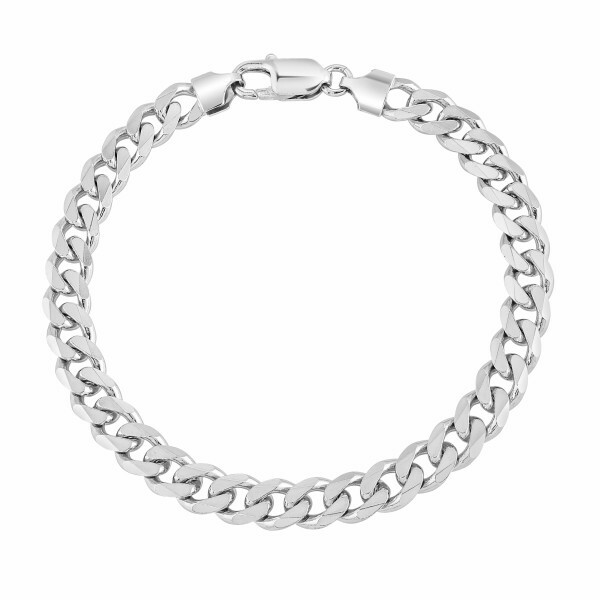 With such heritage, it’s easy to appreciate the reason why this chain style possesses a stylish yet natural allure. This year in the UK Sunday 31st March is a special day to celebrate all that Mother’s and Motherly figures in our lives unconditionally provide us with. Mother’s Day which is just one day in a year is an ample time to express our affection for that one of a kind, nurturing love. Love is not something we can see or touch. It’s something that can only be felt. But gifting tokens that last a lifetime as a symbolism that heartfelt affection can surely reflected upon in years to come, therefore choosing jewellery made of precious metal is sure to speak volumes of her worth. Whilst Gold which is often associated in world mythology as being related to the Sun because of the Golden Colour and fatherly figures, Silver is closely associated with the Moon and it’s silvery hue and in turn Motherly figures. Whilst in fashionwear trends evolve in cycles- whether seasonally, yearly or even longer, how often the scene changes can equally apply to whether it’s clothing itself or accessories such as jewellery. Precious metal jewellery however is a segment of jewellery, which features material that tends to be created with a longer period in mind. Specifically Platinum, Gold, Sterling Silver and more are the most recognised precious metals and related trends generally stick around a lot longer- at least a year or two. Very often some styles also go beyond all sense of time to form classic collections that defy the “in fashion” or “out of fashion” labelling and once you’ve formed a bond with the item it can last even longer and be passed on as heirlooms. 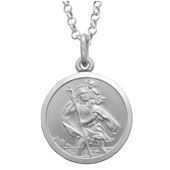 Opting for Mens Silver Chains are specific types of jewellery accessory that when worn naturally enhance an outfit. 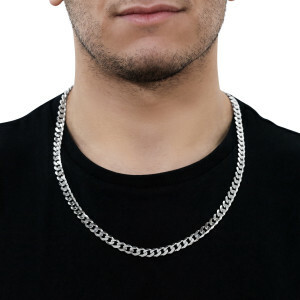 Whether that outfit is intended for an everyday wear look or that sharp occasional look that makes a unique statement, our collection of Mens Silver Chains will help complete a variety of looks and styles. Whether you’re gifting jewellery for Men, or are a Man that is in pursuit for inspiration to evolve your Chain Game- this post will help you stay a step ahead in discovering the Top Trends for Men’s Silver Chains for 2019. Hoping to capture and create memories this Christmas? 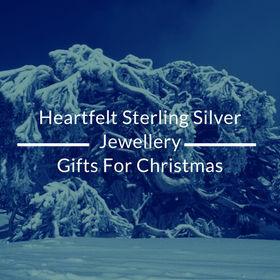 Our top Christmas Gift suggestions this year aim to provide inspiration this Christmas with our collection of Sterling Silver Jewellery. Including Precious and Sentimental pieces to the Christmas Stocking Fillers, each a token to let the Women, in your life know they’re appreciated. Whilst fashion trends in jewellery come and go, the taste for Gold in jewellery continues to stand firm in its different incarnations, whether rings, bracelets, chains, necklaces and more. In this blog post we’re going to explore this trend of Gold as used as a plating on Sterling Silver Chains and the evolving mindset towards Gold fashioned onto Sterling Silver Chains to create pieces that are just as spectacular as solid Gold Chains. Little explanation is required to know that Gold itself has been historically been valued highly by cultures all across the world over thousands of years in jewellery- whether in religious or cultural practices or as a reflection of status, such as Royalty. In fact many ancient cultures closely associate Gold with the Sun, and Royalty, with the Sun being the King and life giver on Earth and solar system, it’s not wonder Gold is almost engrained in mind to be valued quite highly. Sourced from deep beneath the earth, this precious metal has undoubtedly been one of the highest valued materials on the planet and whilst it may be difficult to put into words a single reason for the attraction to this naturally bright yellow metal, one thing is for sure- when it’s crafted into jewellery it’s charm surely magnifies tenfold. Gold Chains themselves can be vibrant whatever the purity of Gold from which it has been crafted- whether 24ct, 22ct, 18ct, 14ct or 9ct since each emanate a different shade of Yellow suitable to our own tastes. The only difference however between each level of these purities are the relative cost. 9ct Gold being less expensive and 24ct being higher owing to the purity and concentration of gold content increasing at each increment. Since the price of Gold being assessed on its weight, and Gold now being at all time high (at least 5-6 times more than 20 years ago) when you’re looking to accessories with Gold Chains and Necklaces, an evolving trend has emerged that maintains the luxury of the Gold appearance, yet won’t cost the earth- Gold Plated Chains on Sterling Silver. So, what are Gold Plated Chains on Sterling Silver? 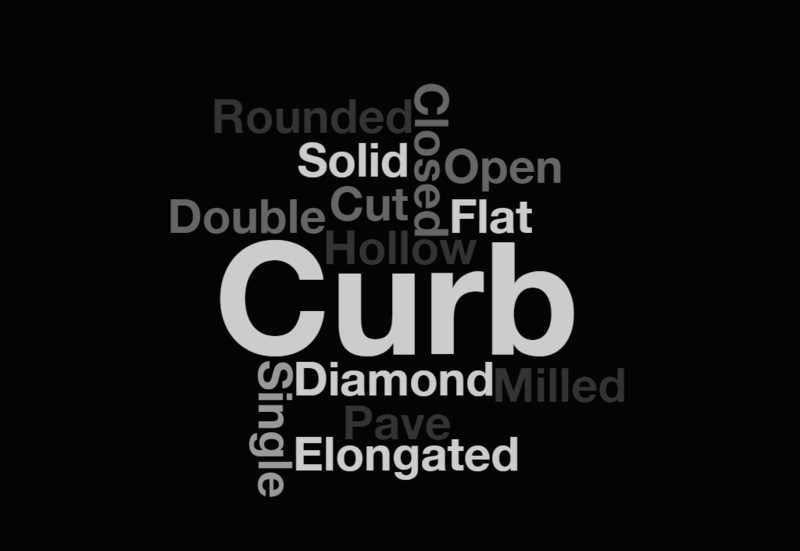 Unlike newer chains where names are given and evolve, classic styles of chain link have names that have long stuck around for decades and are instantly familiar, and the Curb Chain is a part of the classic chain styles group. Where Fashion trends are historic and standards the basis for much jewellery in Italy and France, the curb is known as Grumetta and a Gourmette Chain respectively. How is a curb chain made? Like most of the classic styles of Chain Link, which have originated hundreds of years before any of the state of the art technology existed, the Curb chain links were crafted from a round wire that was cut to size and then twisted to create a link shape with distinctive grooves. These grooves allow another curb link of the same width, length and depth to sit snuggly in this little pocket and the pairing process is then repeated with until the right length was produced. From this one base shape, creativity and evolving technology has resulted in several varieties of this Curb Chain Link style to meet the latest fashion trends, but at the heart of the Curb Chain, lies that distinct link shape with two grooves on each side, and the formation of one link paired with another. Often a token of sentiment towards another, a bouquet of Flowers are a perfect gift sure to brighten up anyone’s day. But have you ever purchased Flowers, without knowing the deeper meaning? Beyond the colour, exuberance and fresh scents, all varieties of Flower have a deeper symbolic meaning. 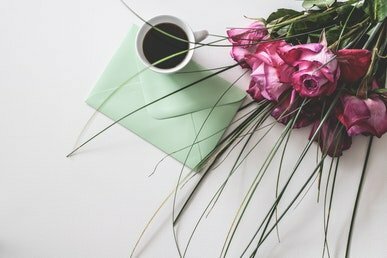 What’s more interesting are the few types of Flower that are especially dedicated to each month of the year. 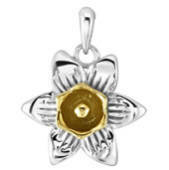 Our Exclusive Sterling Silver Flower Pendant Collection feature carefully crafted solid Sterling Silver pendants that have been designed and expertly crafted to intimately capture the individual characteristics each Flower possess, making them unique and special. 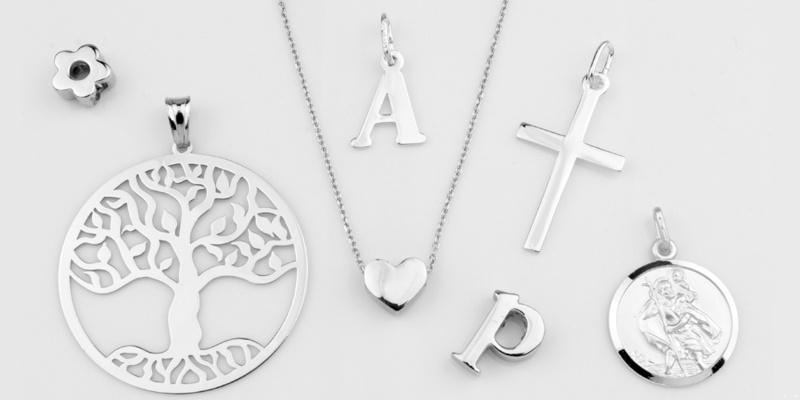 Whether you’re looking to purchase a gift or a cheeky treat for yourself in the form of Silver Chains, when it comes down to making a choice, opting for a Chain made from Sterling Silver is an undeniably great place to start. 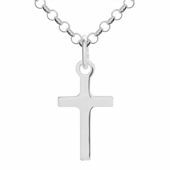 Silver Chains are the starting point for creating a fashion piece that will stand the test of time but not cost you the Earth. 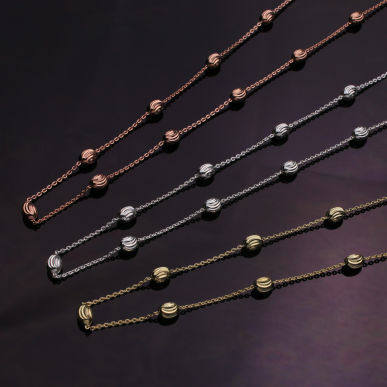 Our styles of chain choice are of varying characteristics such that you’ll feel like playing the lead role in a Charlie and the Chain Factory remake, ranging from: Fine, thin & light vs Thick & Heavy, Bold vs Subtle, Sparkling vs Muted, Intricate vs Simple. 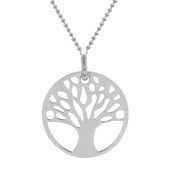 But when you’re looking to support a cherished Pendant, Locket, Heirloom or keepsake you’ve owned for years or been gifted or even more essential like a medical ID it you need to prioritise the search for a Silver chain that is reliable and sturdy to support such pieces. 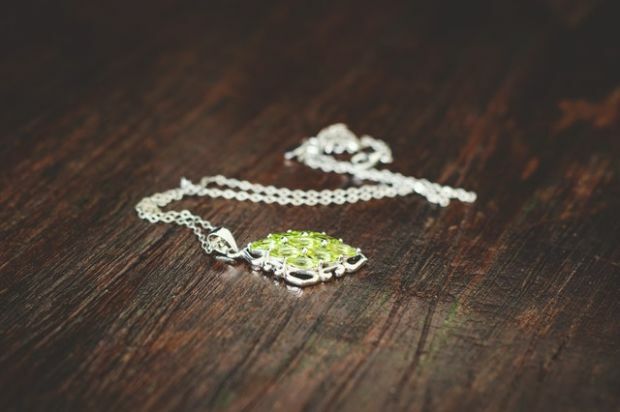 Whether you’re looking for a fine Sterling Silver Chain for a Pendant that replaces a broken chain or are looking to inject a new lease of life for a cherished Pendant, in this blog post we’ll suggest the top fine Pendant Chains that are sure to freshen up your look but also provide sturdy & enduring support. 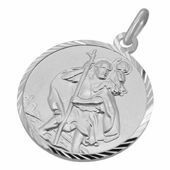 Before we give you our top 10 fine Pendant Chain suggestions, if you’ve not already read through our in depth blog post on How to select a Sterling Silver Chain for your Pendant we highly recommend to check this out HERE. Even at a brief glance, this blog post will surely help towards making a decision and provides important things to consider when choosing a chain style. 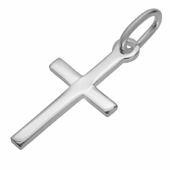 Many of the classic styles of Sterling Silver Chains are given names that are easy to remember based on their appearance: Anchor, Ball, Box, Curb, Rope, Wheat. But there’s a style of Sterling Silver Chain that whilst fits within this category, is a chain that is also quite classic, perhaps even historic – The Fox Tail Chain. Similar to a Fox’s Tail in appearance, with layer upon layer of V shapes, arrows or chevrons- this style of chain in our Sterling Silver Classic collection is steeped deep in jewellery chain making history more than you’d know. To Bead or not to Bead? Absolutely!! The traditional Bead chain consisting of continuous spherical balls of silver wonder are classic styles of Sterling Silver chain and a style that fits well with any of your pendants, and the larger the ball shaped links, the nicer it can be to wear on their own. 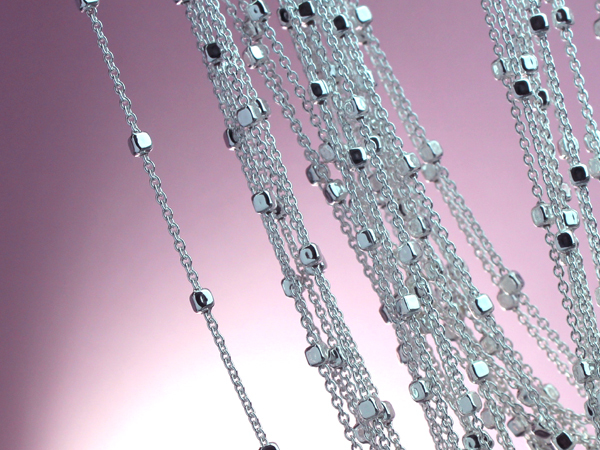 Most classic bead chains are crafted from this simple spherical type bead ball chain, with ever so perfect smooth polished surfaces. It only takes a few Ball Bead shaped links to capture a ray of light and throw it right back out twice as bright. If you love the texture of smooth surfaces, you might also find it difficult to resist that temptation to roll these smoothly polished silver beads between your fingers back and forth obsessively. Within Jewellery the way in which we fashion our look with Sterling Silver Chains is undoubtedly artistic in the way we choose it to be. Most of the popular classic chain link styles such as the Box Chain, Cable Chain, Belcher Chain – all feature basic shapes at the heart of them: Squares, Ovals, Circles. At the heart of Twisted Sterling Silver Chain Link styles however, is an evocative shape that beyond the inherent beauty of just the precious metal from which it has been crafted, conveys something deep and meaningful. Depth and meaning subtly paired in jewellery is a thoughtful approach to the way in which you can choose when fashioning your look. How audible you want to make that statement, might be reflected in the visible thickness of that chain, and the depth of that statement reflected in the intimacy, intricacy and craft in which the links are formed together. It feels like the fabulous warm weather and bright sky spell over has finished quite quickly, after most of the start of the year being predominantly quite chilly for most of us in the UK! But don’t be fooled or get bogged down. That short spell is a great taster for the Summer season ahead and a reminder that overall warmer climate for us is sure to be on the horizon. Reminisce about the great times you’ve had in the pleasant temperatures with friends or family and you’ll be sure to realise, it’s a great opportunity to live in the moment and accessorise your outfits on such occasions with jewellery for that finishing touch. With our recent injection of Thicker Sterling Silver Chains into our stock, there’s a number of reasons why you’d be wise to adopt such a chain characteristic when choosing your next style of chain necklace. Rhodium is simply a precious metal, just as Gold and Silver. But more specifically is closely related to Platinum – another well-known pricey precious metal. We all know or at least think the KING of precious metal in terms of monetary value is Gold or Platinum. But start to compare this value of Rhodium versus Gold and you’ll quickly find Rhodium is more expensive than that of Gold in its raw, unaltered state. It’s been this way for a long time. In fact, at the time of writing this Rhodium is approximately 40% higher than Gold. 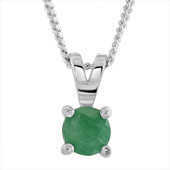 With today being the start of British Summer time, signifying longer days and shorter nights, we thought it would be a great time to publish our blog post that will help to consider the best types of Sterling Silver Chain to match your Pendant - whether the intention is for style, comfort or functionality. When it comes to meeting people and being out and about, necklaces, pendants and other neckwear can often be one of the first things someone will notice, with the neck being at an eye-level. What is a Popcorn Chain Necklace? Have you seen our Popcorn Chains? When you usually hear the word Popcorn you probably think of trips to the cinema but if you’ve not heard of a Popcorn chain before then you’ll be pleasantly surprised at these charming and unusual chains which make a standout choice to match with your necklace pendants. So, what makes our Popcorn chains a delicious choice? The Popcorn chain is originally from Italy and in other parts of the world is also known as a Coreana chain. Just like Popcorn pieces, (whether salted or sweet!) it is delicate and light. The Popcorn chain is made up of concave shaped links and looks more contemporary and sleek when compared with other classic styles such as the Curb, Rope and Belcher chains. Layering your necklaces has become a sure-fire way to effortlessly look instantly chic and on trend. 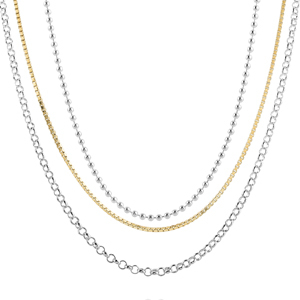 Layering your necklaces gives you lots of flexibility with the choice as you can wear several pieces at once. You can mix and match pieces to give lots of different combinations. 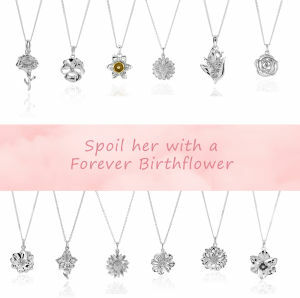 Plus, if you get a new necklace it can fit in with your existing jewellery collection. Layering up different pieces of jewellery is a wonderful way to express your personal style; which is why there are no rules when it comes to layering up necklaces. However, we've put together our favourite tips on tricks on how best to layer necklaces and elevate your style to the next level. The most common question we get asked is how to care for Sterling Silver Jewellery, such as Chains, Bracelets, Earrings, Pendants, Anklets, Nose studs. Our quick tips below apply to all Sterling Silver Jewellery, which we hope you’ll find useful. 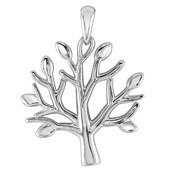 In general, most concerns we hear when caring for Sterling Silver, is the colour. 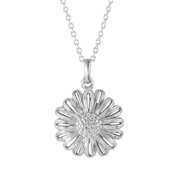 Genuine Sterling Silver jewellery is a precious metal and doesn’t “corrode” or “rust”. These are associated terms for metals which structurally disintegrate leaving unrepairable. Sterling Silver does not behave like this and any affects of discolouration are in most cases temporary. Pure Silver, Sterling Silver, Silver – What’s the difference? Gold, Platinum and Silver are the three kings of the precious metals and their royal kingdoms are situated within the world of jewellery. Specifically, Silver which is a natural and pure commodity arising from out of the Earth has been commercially used for thousands of years. In this post I will be skipping the history of Silver and share with you some useful insights into the ownership of this wonderful shiny metal not only because our jewellery products are crafted using Silver, but more to provide some clarity as there is often confusion over the differences between its various forms especially when shopping for jewellery. Yesterday, British Summer time ended and so the clocks went back one hour for all of us in the U.K. - an extra hour sleep for now but shorter days and longer nights! But it wasn't until today upon drawing open my curtains that I noticed a silvery white layer of frost upon the lawn and more upon the windscreens of the cars in the street - yep there was no waiting around for Mother Nature. With that being said, I started to drift into a brief thought about the upcoming seasons: Sure, Autumn has set in with the leaves separating from the trees, but this is all in preparation for the Winter fall! Welcome to our Blog at The Chain Hut! Through our blog we'll share our decades of experience to clear any misconceptions and speak out on the many unaddressed topics. Here you'll be able to read our comments and guides regarding Chain wear that may help you before purchasing a chain or after purchase. You'll also find relevant information and tips, as well as information on suitability for chain types for different purposes and more general advice when purchasing jewellery online including how to care and store for your jewellery.